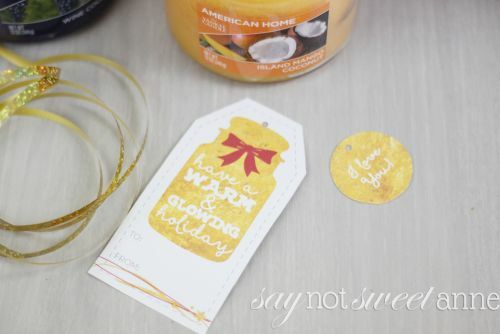 Jar Candle Gift Tags – Last Minute Gifts! So I’ve made these adorable (and punny!) 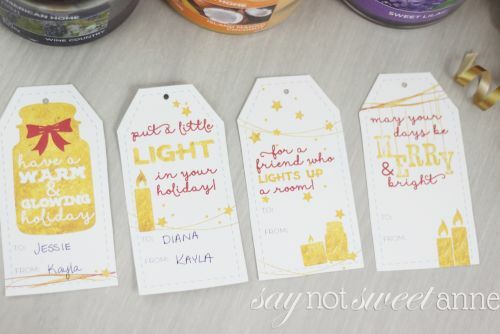 DIY Printable gift tags to go on the candles. They have super cute holiday phrases that incorporate the candles and make the whole gift a little more special. 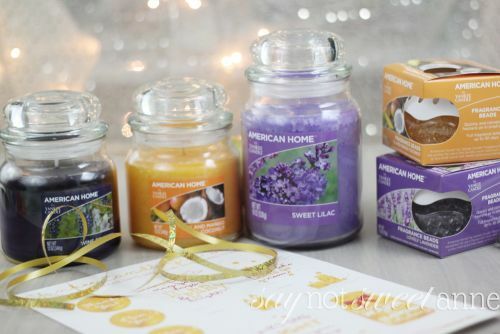 Bonus – because the American Home™ by Yankee Candle® Brand line is also available at Walmart.com (check out the Walmart assortment page), I can get the candles, print the tags and be 90% of the way to an amazing gift all while sitting in my computer chair! Oh, and, not that I’m cheap in my gift giving, but the candles and fragrance beads are all under $15, some of the smaller items being much less. That means you can easily afford to give them out to plenty of friends! 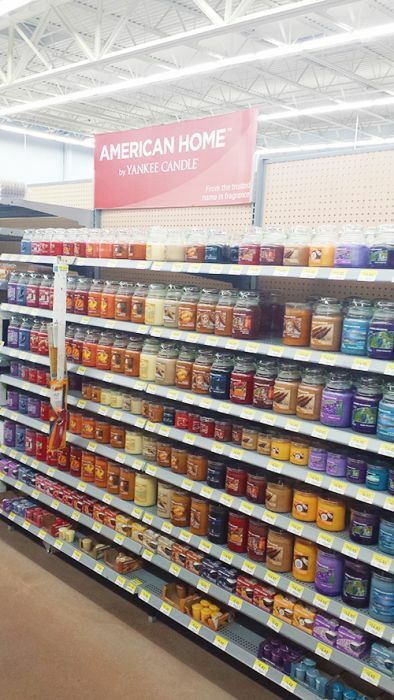 I chose to visit the store’s home furnishings section to select my candles (you know, extra special touch. See a theme here?) and I smelled literally every fragrance. You know how they say memories are closely tied to fragrances? It must be true because when I smelled the Wine Country fragrance it immediately reminded me of one of my close friends. The Sweet Lilac was a dead ringer for my mom’s favorite fragrances, and I know she will love it as a bonus gift. There are so many amazing candles and fragrance beads to choose from – I’m sure there is a perfect match for each person on your gift list. Do you have someone in mind for a beautiful candle gift? 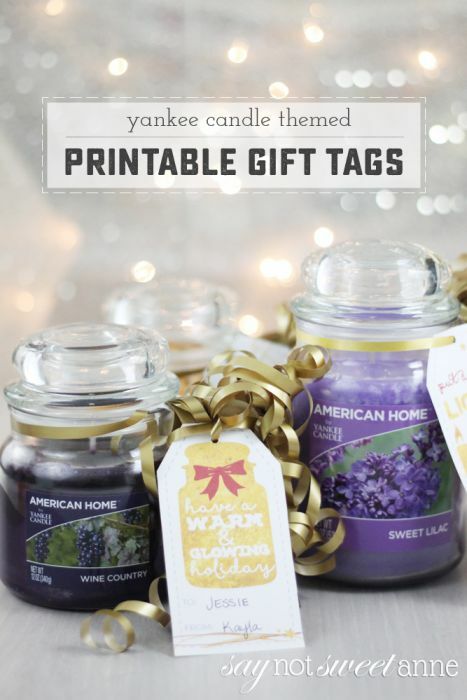 Pick up an American Home™ Candle by Yankee Candle®Brand and Download the printable PDF tags below and get crafting! I love them too! I think it is so fun to use a little printable to bring life to things! This is so cute, it would be a great gift to take to the neighbors during the holidays! Thanks so much for sharing!